Video is a great way to drive organic inbound traffic to your site, but for maximum impact you’ll need to find ways to distribute your content to wherever your (potential) viewers are on the web. Distributing video to your viewers increases your exposure and can provide valuable hooks back to your own website to drive traffic. 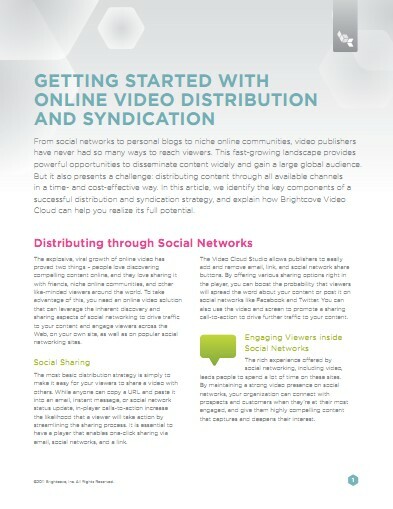 But, the sheer number of distribution outlets, including Facebook, Twitter, YouTube, iTunes, emerging platforms like connected TVs, and more, create a problem -- how do you launch successful third party distribution initiatives in a timely and cost-effective manner? Uploading media directly to Facebook, YouTube and other channels independently would just take too much time to be a viable option.